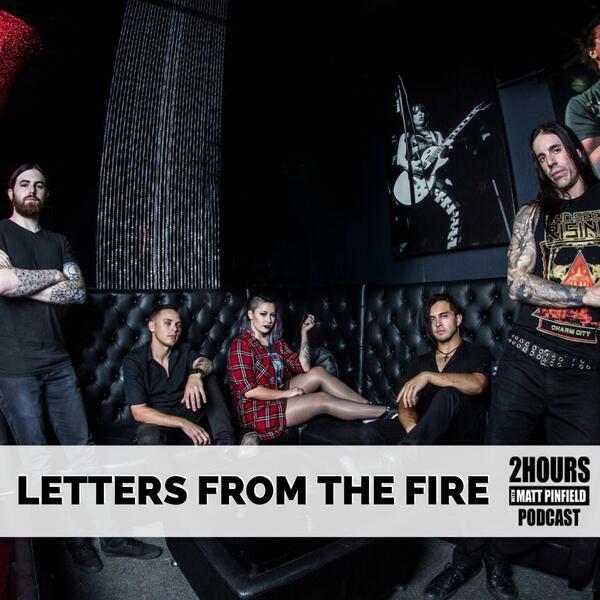 Today’s episode features San Francisco based rock band Letters From The Fire. The band has been around in some form for nearly 10 years but has come into its own after adding singer Alexa Kabazie who joined the band just before recording their new album ‘Worth The Pain’. Producer Ted joined them on the bus outside their show in San Diego last week to talk about the new album, their influences, and heading out on this year’s Shiprocked Cruise! They also chat about creating the new album in Greensboro, NC with producer Kyle Odell and writing the album’s title track from a very personal place. Make sure to subscribe to the ‘Two Hours with Matt Pinfield Podcast’ now so you don’t miss any upcoming conversations. Find the full schedule now on our Facebook page.